The “I Called It” game will be hosted exclusively on the Jets own app and is sponsored by MGM’s casino and sports betting app, PlayMGM. The newly minted partners say the game includes what they call “pre-play options, upgraded in-play features, expanded prizing, and deeper leaderboards featuring Jets fans.” The game will be up and running through the official New York Jets app during both home and away Jets games. The partnership apparently falls within the NFL’s new rules that permit gaming partnerships for marketing and promotional purposes, rather than for actual gambling, including sports betting. According to ESPN’s Darren Rovell, the PlayMGM app can be freely promoted because it includes both free games and paid games. But make no mistake: Sports betting is certainly on the mind in this deal. MGM also owns the Borgata in Atlantic City, which houses a retail sportsbook. Another key element of the deal allows MGM Resorts to target Jets season ticket holders by providing a new and wider range of hospitality for season ticket holders and Jets Rewards members including premium entertainment experiences and luxury hotel rooms at its Borgata property in Atlantic City, and other MGM Resorts properties in the U.S.
MGM will also now integrate its marketing into Jets marketing assets including stadium signage, social and digital sponsorship and advertising in Jets TV shows and radio broadcasts. 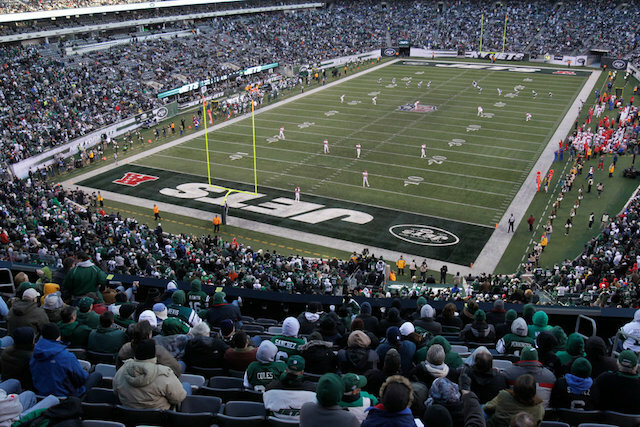 The Jets home field, MetLife Stadium, is a neighbor to The Meadowlands, a racetrack that is home to sports wagering rival FanDuel’s sportsbook operation. Mobile betting is now available through a wide variety of legal wagering apps in New Jersey. The Jets-MGM arrangement is the latest in a recent spate of new marketing deals that include the New Jersey Devils and the NBA’s Philadelphia 76ers joining forces with Caesars Entertainment, William Hill US with the Devils, the Dallas Cowboy’s with WinStar World casino in Oklahoma casino and the Baltimore Ravens with Caesars’ Horseshoe Casino in Baltimore. 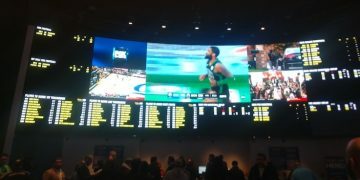 On Monday, the National Hockey League (NHL) announced a marketing deal with MGM that includes a multi-year sponsorship agreement designating MGM as the official sports betting partner of the league, mirroring MGM’s July deal with the National Basketball Association. Both of these deals include an official league data feed. Earlier this week, the New York Post reported another sponsorship deal that also involves the New York Jets: a new relationship with 888 Holdings, based in Gibraltar, which operates an online casino, poker site and as of September, an online sportsbook in New Jersey. This comes awfully close to violating currentl NFL policy, which forbids the kinds of relationships discussed above: deals in which sportsbooks and sports betting sites are promoted. 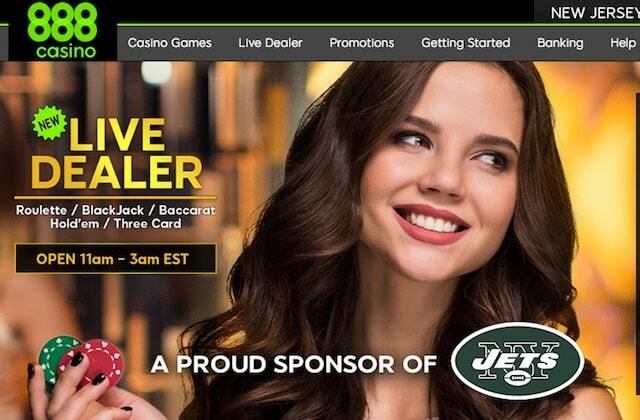 As you can see above, the Jets logo and sponsor status appears on the casino portion of the site, but it does not show on the US-facing 888sport.com sportsbook portal. The NFL has not yet publicly weighed in on the Jets-888 deal. 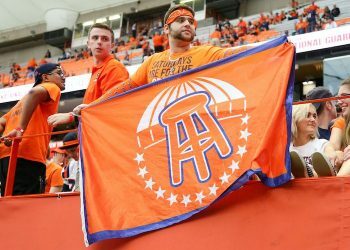 In effect, both that arrangement and the MGM deal test the limits of what current league rules will allow, and a glimpse at a lucrative new revenue stream for teams and the league.